For enthusiasts of boating, sailing, fishing, and diving, the lovely islands and cays that constitute the Abacos are a dream come true. 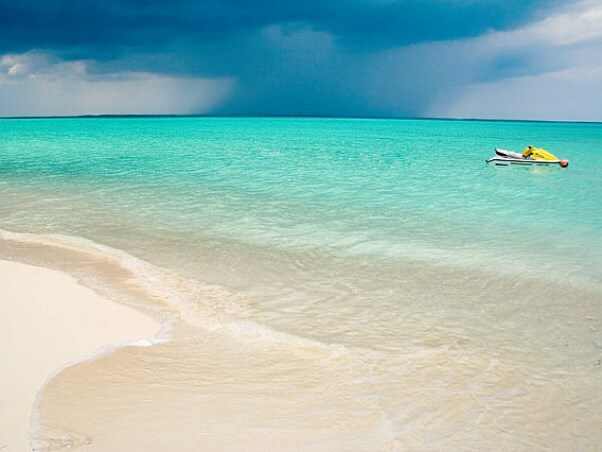 The northernmost part of the Bahamas, stretching 120-miles along the calm crystal-clear cerulean blue waters of the Atlantic Ocean and the Sea of Abaco, the Abacos feature some of the world’s most beautiful shores, a laid-back beach lifestyle, and an endless amount of seaside pursuits to fulfill your inner escapist fantasies. 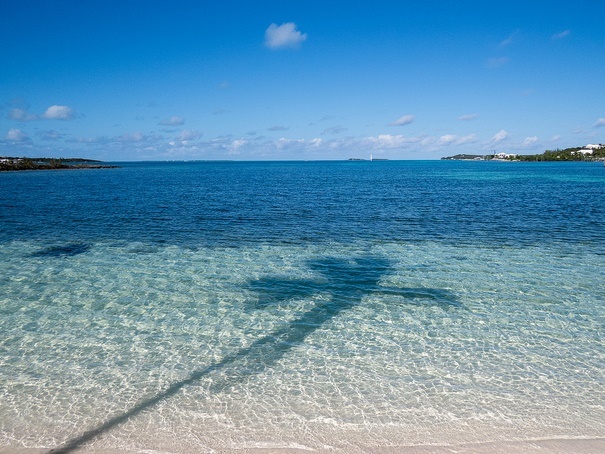 The Abaco Islands consist of two main islands: Great Abaco and Little Abaco and a number of picturesque neighboring cays that are tiny and mostly uninhabited. Most yacht charters will begin in Marsh Harbour which serves as the main hub of the Abacos, and from here your options are endless. An idyllic yacht charter destination with plenty to love, whether exploring this tropical paradise from the comfort of a lavish charter mega yacht, sporty charter power boat, chic charter catamaran, or elegant charter sailing yacht, the panoramic beauty of the Abaco Islands is enough to take your breath away. 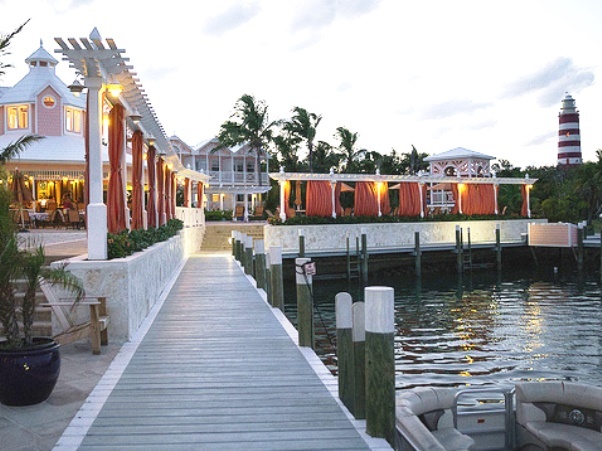 The appeal of Elbow Cay lies in the beauty of its stunning tropical beaches and charming New England feel. In Hope Town, the tiny 6-mile-long island’s largest settlement which is flowered with bougainvillea, you will find quaint shops, museums, and eateries and beautiful pastel-hued saltbox cottages. As most of village is closed to motor vehicles, walking and biking are the main forms of getting around. Worthy of a visit is the peppermint-striped Elbow Reef Lighthouse which was built in 1838. A climb up to the top of this landmark 120-foot lighthouse will welcome you with unparalleled views of the Sea of Abaco and the neighboring cays. Green Turtle Cay is a quiet and quaint little island that offers exceptional beaches, lovely secluded inlets, excellent deep-sea fishing and great diving, making for an alluring tropical yacht charter getaway. The English loyalist 18th-century settlement of New Plymouth is big on colonial charm and picturesque crescent-shaped Coco Cay Beach which is lined with casuarina pine trees is the perfect place to bask in the sun. Cocktail aficionados will want to stop by Miss Emily’s Blue Bee Bar to sample the drink that made it famous, the Goombay Smash. 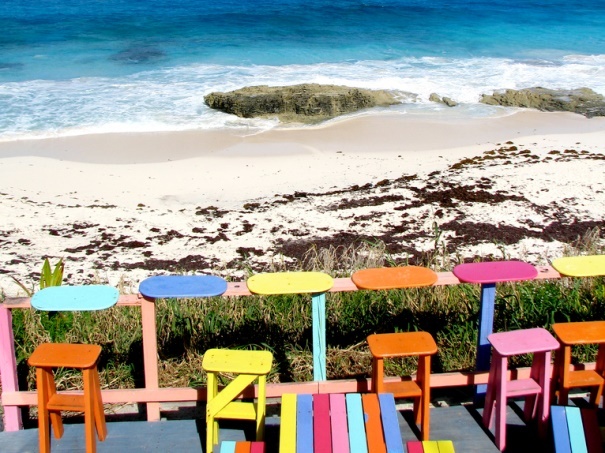 It is like taking a trip back in time when visiting the conservative 2½-mi-long Man-O-War Cay. The beaches are lovely and secluded and there are only a handful of shops and restaurants that line the waterfront of this relatively undeveloped island. The capital of The Bahamas’ boat-building industry for more than two centuries, Man-O-War Cay is renowned for the superior workmanship of handcrafted boats. A local specialty that makes for a fashionable gift to take home, are the colorful bags and accessories made by the women of the island from sturdy canvas fabric traditionally used for sails. Welcoming you as you step ashore to Great Guana Cay is a sign that reads “It’s Better in the Bahamas, but…it’s Gooder in Guana.” With a carefree and fun laidback atmosphere, Great Guana Cay has established itself as the party island of the Abacos and the main attraction here is the famous local hangout Nipper’s. Situated on a bluff overlooking the ocean, spend a lazy Sunday afternoon at their pig roast enjoying live music, great drinks, and quintessential tropical bliss. 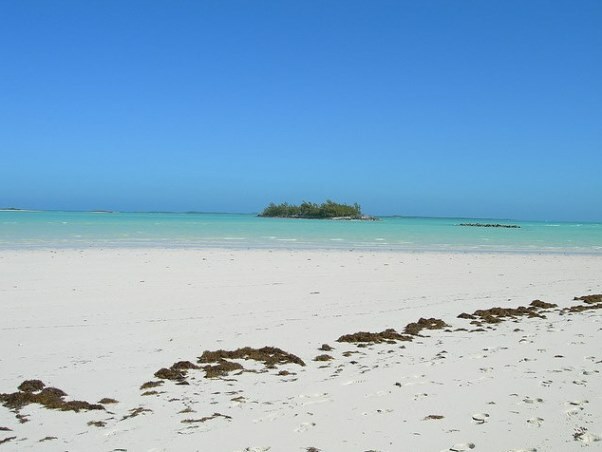 For sunbathing and snorkeling head to the pristine 5 ½-mile long Atlantic Beach and nearby Fowl Cay Reserve. 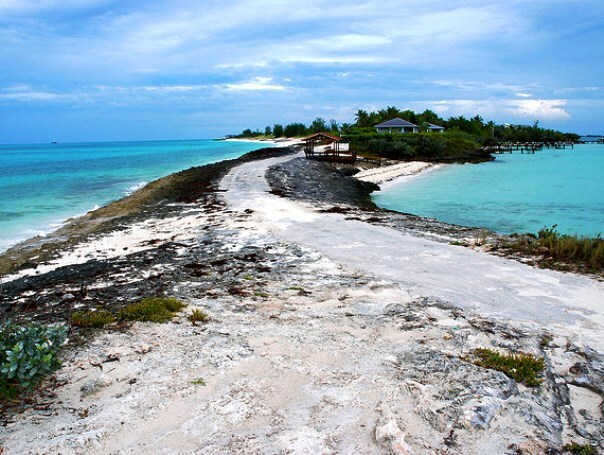 Treasure Cay is one jaw-dropping beautiful destination that you need to include on your Abacos yacht charter. There are full-service marina facilities, a championship golf course, and “one of the 10 best beaches in the world” as voted by National Geographic. The beach, which stretches 3 ½ miles long and has the softest powdery white sands, truly should not be missed. 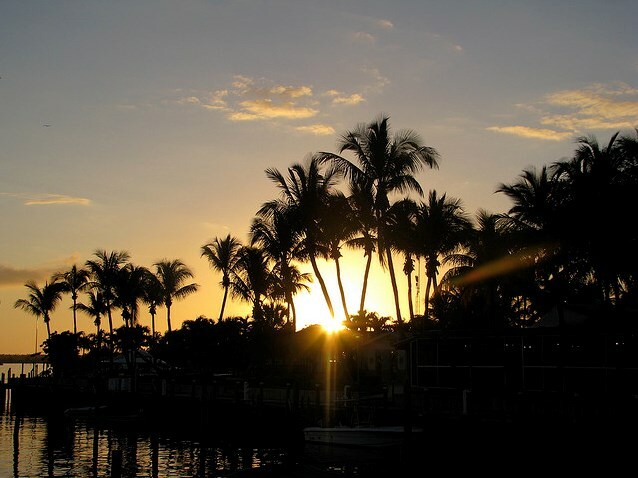 As the sun goes down, make sure to grab a drink and listen to some live music at the Tipsy Seagull. With breathtaking cruising grounds, stunning beaches, and a carefree way of life, the Abacos are a luxury island paradise. Chartering a yacht in this blissful Bahamas destination is just about as idyllic as it gets and at Sunreef Yachts Charter, our expert yacht vacation specialists can assist you with planning all of the details so you can enjoy every moment. This entry was posted in Bahamas, Destinations and tagged Abaco Islands, Abacos Yacht Charter, Bahamas Yacht Charter, Elbow Cay, Great Guana Cay, Green Turtle Cay, Man-O-War Cay, Treasure Cay Yacht Charter, Yacht Charter in the Abaco Islands by sunreef yachts charter. Bookmark the permalink.